What may be more frightening is a pumpkin that big. Maybe not, could be an upgrade for Peter Pumpkin Eater's wife. John Haydon of the Washington Times brings us a Halloween list of the top 10 scariest monsters. 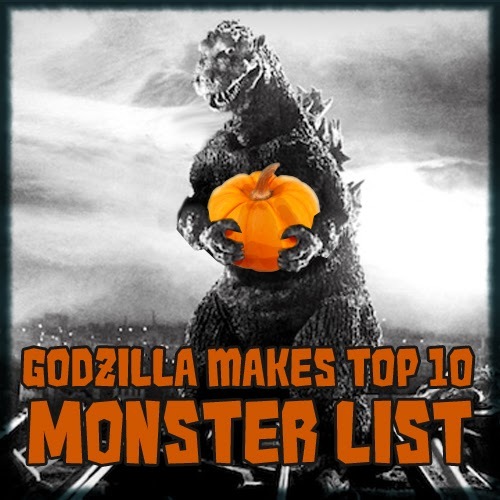 Godzilla beats out Freddy Kruger and squeeks out at number 9. #9. Godzilla, “Godzilla” (1954) — This Japanese movie monster originally called “Gojira,” first appeared in Ishiro Honda’s 1954 film. The prehistoric, reptilian behemoth, woken from its prehistoric slumber, possibly by a H-bomb test, made stomping on Tokyo its specialty act. The creature moved awkwardly, and looked like it had been made on a shoestring budget, but it caught our imagination. The monster became so popular it has its own star on the Hollywood Walk of Fame. Other notables in the list are Jason from the Friday the 13th series and classics like, The Fly, Mr. Hyde, Frankenstein's Monster and Nosferatu. The two list topppers are Aliens. At #2 is the Thing from John Carpenters 1982 film and at #1 is the Alien Zenomorph from ridley Scott's 1979 Alien. Check out the rest of the mosters and find out why they made it on the list at: The Washington Times: Top 10 scariest creatures in movies and television.